One of the bite rings native to Carim. Increases bleed resistance. The crafting of these rings is forbidden, perhaps owing to a fear of malleable stone. Clerics, however, dabble freely in the art. 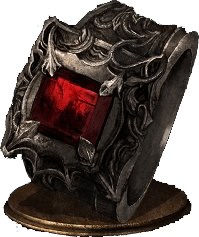 Bloodbite Ring is a Ring in Dark Souls 3. So.... I killed the rat and never got the ring is there known bug there or something?